Apple’s Focus- Market Share? Profit? or Price? 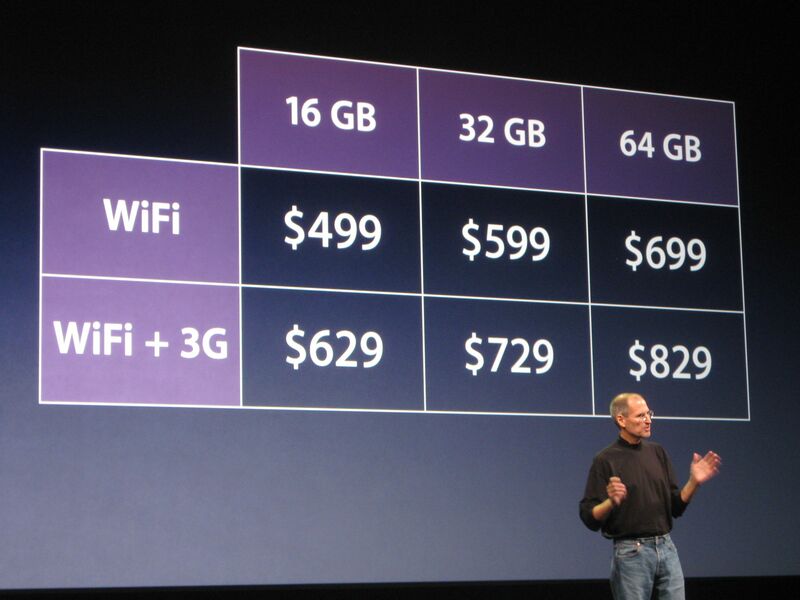 For a while I have been writing in depth, with supporting data, on Apple’s pricing excellence and price leadership. Apple has been seeing growth deceleration and sales decline in its unit sales. This week there was a piece in Fortune on Apple’s approach to business when it faces drop in volume. That article correctly points out Apple never chased market share and was more than willing to let others fight for the low end of the market. Apple with just around 15% market share has 90% of profit share of the market. It does that by a very well aligned mix of segmentation, product strategy, and multiple product versions. For instance take the case of capacity of flash storage in iPhones. Apple made a simple decision to make 16GB, 64GB and 128GB versions that resulted in close to $4 billion a year in incremental profits. Market share is simply the wrong business metric to chase as I have written several times before. Businesses exist to create value for all stakeholders – customers, investors, partners and employees. Businesses must take actions that maximize this value pie so everyone’s share, however small the ratio is, is better than it would have been otherwise. The question of chasing market share does not come into play at all in this quest unless it is a side effect of increasing value pie. However Fortune back tracks on its own statement of Apple’s focus on value creation to accept an incorrect view extended by Asymco’s Horace Dediu. Mr. Deidu rejects the notion that Apple is concerned with profits and instead posits that its focus is on pricing. If you are a regular reader of this blog or a practicing product manager you will quickly recognize the error in this view. Price is not a goal, it is not something you optimize for. it is not something your product deserves. It is not an invariant that must be adhered to. Price is a lever you have under control to maximize your share of value created. You do not fix a price point to maintain perception rather you ensure the price point is aligned with the segment you choose to target and its needs. Religiously fixing a price point is an assured way to destroy value for customers and investors. In fact Apple has let the ASP fluctuate by changing the product mix. While Deidu states Mac’s ASP has not changed, if you look at the complete product family including MacBook Air the ASP did change due to a mix of products at different price points. Customers come first. We win customers by creating net new value to customers that is far more than other alternatives. We maximize the value to customers we become the preferred product and hence maximize our share of this value pie. Price is a way for us to get our fair share of that value created. Price is not the end, it is the means.